Echo that follows like a shadow. 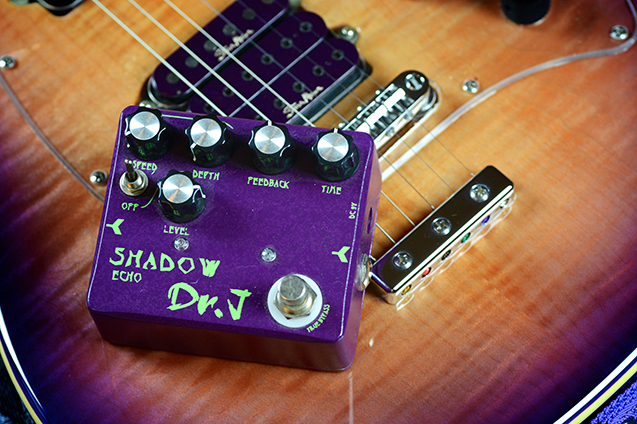 Hovering between reality and magic, the Shadow Echo box emits spooky snapback delays and deep echoes. 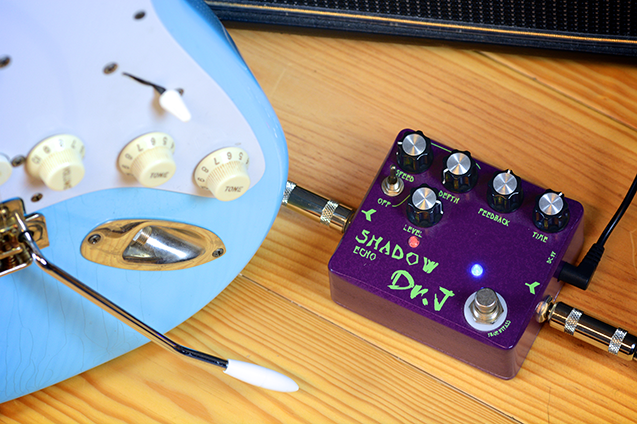 Familiar parameters such as Time, Feedback, and Level with an additional modulation switch. Adjust Depth and Speed in mod mode; an LED light shows the use of those additional functions. True Bypass design minimizes tone loss.